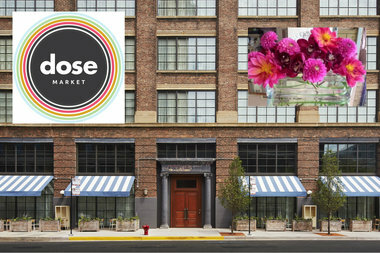 Dose Market will host a Mother's Day market at Soho House Sunday. WEST LOOP — Dose Market returns to Soho House this Sunday with a Mother's Day market full of picks just for mom. The market, from 10 a.m. to 4 p.m. Sunday, will be staged inside and outside at The Allis at Soho House, 113 N. Green St. in the West Loop. More than 20 local vendors, including Dilly Lily flowers by Christine Noelle Design, Ellison Eyewear sunglasses, Local Eclectic jewelry, Plumage children's clothing and Mayana Chocolate treats, will be on hand. The Allis will also be serving up cocktails at Dose Market. No tickets are need and admission is free. Launched in the West Loop four years ago and held at a variety at venues, Dose Market brings together designers, chefs, bakers, entrepreneurs and artists to exhibit their wares at curated events.